Amid baking challenges and overcoming the perception of being expensive, The Abaca Group has managed to achieve healthy growth—starting out in 2006 with a boutique resort + restaurant and expanding to eight brands with over 20 outlets in Cebu today. Several more will be added to the number this 2019, including Red Lizard branches in Manila that will be opened through a franchising agreement, said The Abaca Group Founder Jason Hyatt. “The only requirement for expansion is that customers can’t notice,” he added, citing the need to maintain the group’s exceptional food and service. Chef Patrick Corpuz, Director for Business, credited their consistent growth to a strengthened team. The company is set to open another Abaca Baking Company in Ayala Center Cebu and Luncheonette outlets in SM City Cebu and Ayala Center Cebu. COMPANY GROWTH. The Abaca Group Director for Business Chef Patrick Corpuz (left) and founder Jason Hyatt discuss with reporters the company’s expansion plans. The Reef Mactan Hotel and Residences, where Abaca plans to put up a Filipino restaurant, is also scheduled for completion and opening this year. Mr. Hyatt said their vision for the Filipino restaurant is it should replicate home cooking and showcase local ingredients. “Isn’t it strange that we don’t have Filipino restaurants in our hotels?,” he asked, adding that tourists who come to the country usually ask for places where they can try local food. The Abaca Group founder also announced he has been tapped to handle the food and beverage management of the upcoming “apart’hotel” Citadines in Cebu City and has created a separate business for this purpose. According to him, what they wanted to do was create partnerships with developers that will allow them to open commissary kitchens in hotels to aid in their expansion. CHALLENGE. 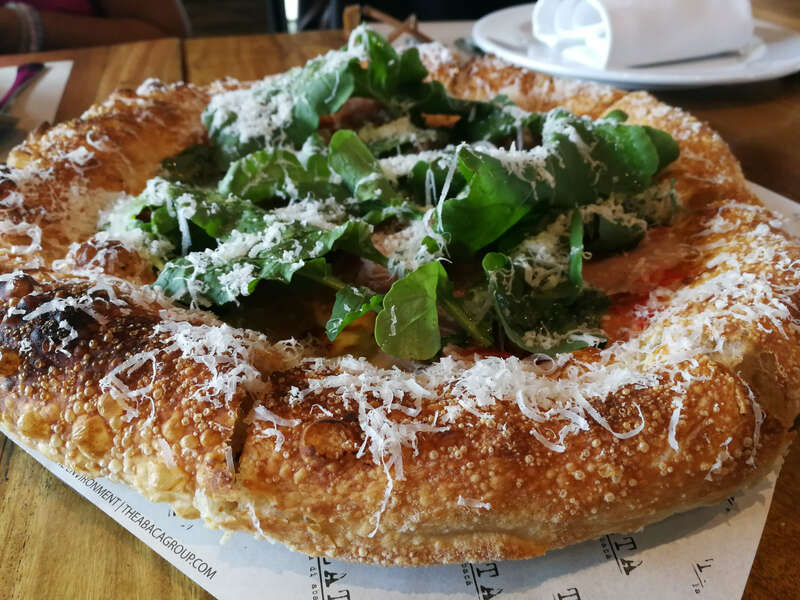 The Abaca Group Founder Jason Hyatt says the requirement for their expansion is the need to maintain the group’s exceptional food and service. To put up an Abaca Baking Company in other areas, added Mr. Hyatt, the challenge is to figure out how to make baked goods travel. Since ABC prides itself in fresh breads and pastries, it needs to find a way to bake everyday and bring the products across great distances. Partnerships with other businesses that will allow them to put up their own kitchens in hotels and similar developments will help solve this particular challenge, said Mr. Hyatt, adding that The Abaca Group will need such collaborations to grow nationwide. Mr. Corpuz said they have several concepts in mind for additional brands that will probably be introduced in the next two years. “We’re streamlining our product line and trying out different techniques,” he cited. The different Abaca outlets serve to cater to different business segments. Through its growth years, The Abaca Group also had to contend with a reputation for being expensive. While this has hounded them for a few years, Hyatt said they see it as working to their advantage now. According to Corpuz, the typical business model of targeting a specific price point has worked well for their restaurants. All through the years of serving quality and exceptional food, albeit at prices seen in the past as costly, the market is now finally ready for The Abaca Group.